When researching different gutter contractors in Los Lunas, New Mexico, and the surrounding areas, you will find that not all of them are created equal. Thankfully, ABC Seamless of Albuquerque was founded in 1987 and is the most trustworthy gutter company in the area. This is because we place an added emphasis on our customer service. We will do whatever it takes to make sure that you are happy with your installation. In addition to our exceptional customer service, our gutters are seamless and maintenance-free, meaning that they will never require re-painting. Furthermore, our gutters are 30 percent wider than the majority of other similar products on the market. This allows for more rainfall to flow freely through your gutters and away from your home at a much higher rate. If you select us instead of any of the other gutter contractors in the area, you will be rewarded with an outstanding labor guarantee that remains in effect for up to 10 years, as well as a transferrable lifetime warranty on all products. 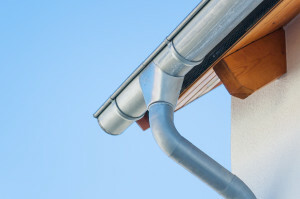 For more information about working with the best gutter contractors in Los Lunas, NM, and the surrounding areas, contact ABC Seamless of Albuquerque today. Our knowledgeable staff will be happy to answer any questions you may have about our seamless gutters.